I wrote this last year, after Steve passed. I’m publishing it today, on the anniversary of his death, as a memorial. A friend of mine once left his iPhone on a remote beach. He thought he had it with him, but when he discovered it was missing, he sprinted two miles back, through narrow, overgrown paths, to rescue it. He felt like he had left a baby behind. This was the first time he had ever felt like that about a phone. I don’t think any other product in history has had this combination of wide distribution, strong emotional connection, and the deep imprint of its creator. Products like Ford’s Model T and Edwin Land’s foldable Polaroid camera fit a similar profile, but I think that the iPhone is amplified beyond these because of its nature. You carry an iPhone with you every day. You cradle it in your hand. You rely on it for communication. So many things happen through it, and it becomes an inseparable part of them. Since Steve died over a week ago, I can’t get him out of my head. Like so many of my friends, this is the most affected I’ve ever been by the death of someone I’ve never met. I can’t help thinking about Steve because I can’t help using my iPhone. The iPhone is not just Steve, of course, it is thousands of people. But Steve was the center, the Eye of Providence at the apex of the pyramid. 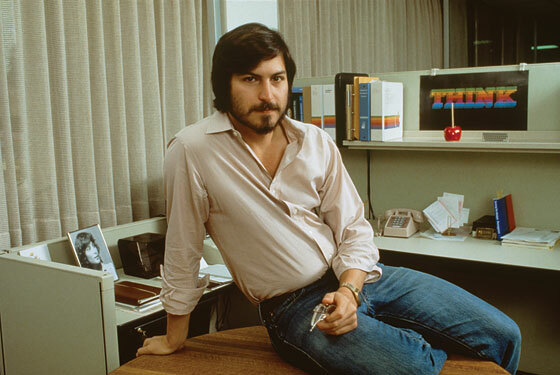 Something on the scale of the iPhone cannot be created by one man, but Steve created the machine that makes iPhones. He built Apple. It’s sad when I read other people writing negative things about his death. I think they are feeling hurt and left out. They see all these people sharing their grief together, and they aren’t part of it. I can understand the cynicism. The way Apple operates is so foreign to most businesses, especially large ones, that without experiencing Apple products first hand, how could you understand the emotional connection Apple customers have to Steve? Not all Apple customers share this feeling, but many of us do. Steve focused on emotions. He wanted you to love his products, and he did everything in his power to make it so, short of deception. Steve understood that honesty wins. Nature wins. If you build an emotion on a lie, if you build a house out of straw, you will lose. So he worked really hard to make things that people love. And through those things, people loved him. People comparing Steve to Edison or Ford are missing part of what he is. He wasn’t just a man who created things. He was a man who communicated with people. He was probably much more like Mao. Mao’s power was that people saw him as a personal hero. He represented the underdog winning and never selling out. The real truth includes a lot of pain and suffering inflicted on others, as does Steve’s story, and in a way, that’s the most important part. That’s the thing that makes it all real. Woz’s reaction makes me think it was all worth it.